Kindly allow a minute for this page to load... It's worth it! "Honor someone you love with a commissioned portrait." 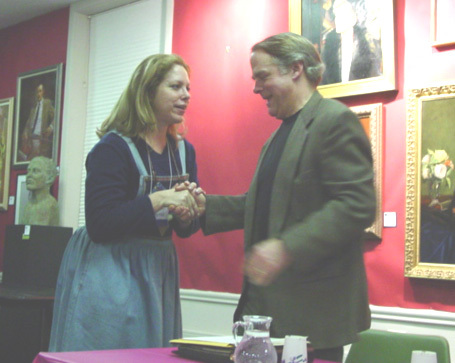 Judges: Ann Fader, and George Passantino. PICK-UP THURS, FEB 27 10am-noon at the GEC. to be announced at show close, February 27. YOU BE THE JUDGE! Go and vote for your favorite painting today! TUESDAY MAY 6 at the Greenwich Arts Council building on beautiful Greenwich Avenue. 9:30am-3:30pm. All registrants for three programs that were postponed due to blizzard will be invited to attend the make-up sessions. Additional participants may purchase tickets at the door . 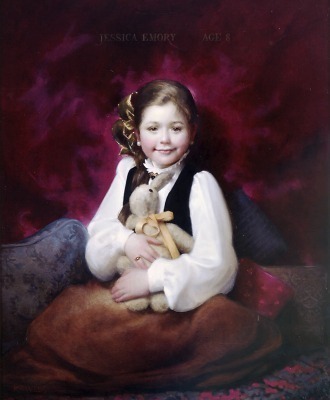 "Jessie with Bunny." Don't miss Ms. Wells' photography workshop, Tuesday, Feb 18. See below for details. Marvin Mattelson (in grey shirt above) demonstrates "mixing warm greys" and his controlled palette brush-holder to students at the School for Visual Arts. 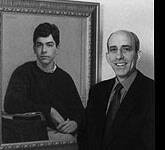 His award-winning painting, "Eric" is pictured left. Watch Marvin in action on Wednesday, February 19. See below for details. 9:30am - 10am: "The Language of Flowers" CSOPA Founder, Jeanine Jackson, will welcome guests to the Garden Education Center of Greenwich and review the systematic floral vocabulary which construed a coded language of love and symbolic meanings popularized in the 1800's in books and, of course, portraits! 101> No fee. Reservation appreciated. 10am - 11am: "Decorating with Art." Kathi Gernat of Kathi Gernat Interior Design in Greenwich will discuss personalizing your interiors with collectable art and portraiture. Location, frames, wall color, and lighting will be reviewed. 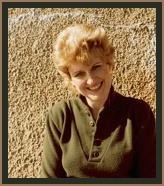 Ms. Gernat is an Allied Member ASID, and currently teaches "The Business of Interior Design" at Fairfield University. For collectors and connoisseurs! 11am - 12pm: "How to Commission a Portrait." Carole Erdman of Portraits Unlimited will discuss the process of commissioning from the patron's point of view. Why? Who? Where? and How? to make the experience a delightful and rewarding one will be reviewed. 103> CSOPA Members $5/$7 Non-Members. 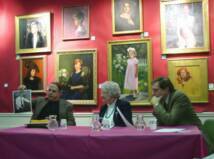 12pm - 2pm: "Framing the Portrait - A Historical Perspective." Jacob Munn of the world-renowned, wholesale reproduction framers, Abe Munn Framers, will take participants on a journey through time. A 1-hr slide show will be followed by a hands-on demonstration of period frames used for fine portraits from Renaissance, Baroque, French, Chippendale, American, and Contemporary eras. Participants may bring their own lunch to this presentation. Soft drinks and light snacks will be provided. 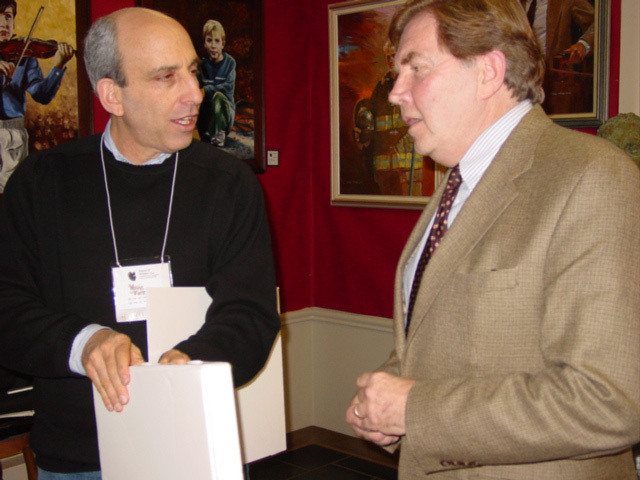 Framers, gallery owners, interior decorators, collectors and artists will all benefit from Mr. Munn's extensive knowledge! 104> CSOPA Members $10/$15 Non-Members. AVAILABLE. 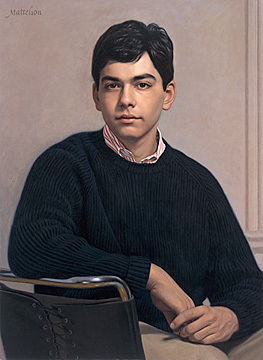 2pm-3pm: "Portraits" Nancy Hall-Duncan, Curator of Art at the Bruce Museum in Greenwich, will present a special program. Details tba. 105> CSOPA Members $5/$7 Non-Members. 3pm - 5:30pm: "Setting up the Classical Portrait: A Photo Reference Workshop." Award-winning portraitist, Karin Wells, offers a highly anticipated workshop for the professional artist. 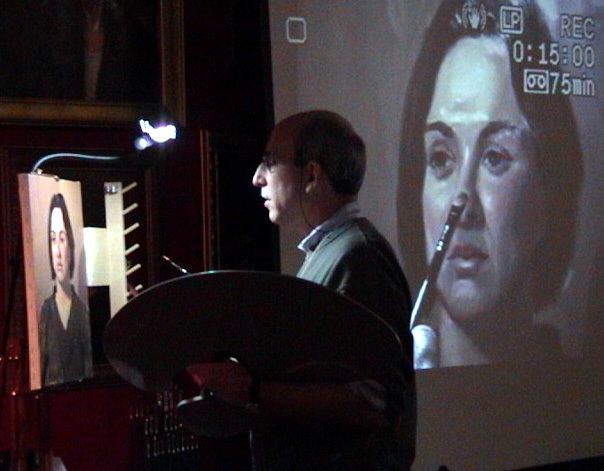 Slide Show (1hr): A review of classical portraiture with an emphasis on what we can learn from the Old Masters. The Set-Up (1hr): Techniques for setting the stage to photograph a subject and demonstration of equipment. Tech Talk (1/2hr): Question and Answer session. 106> CSOPA Members $15/$20 Non-Members. 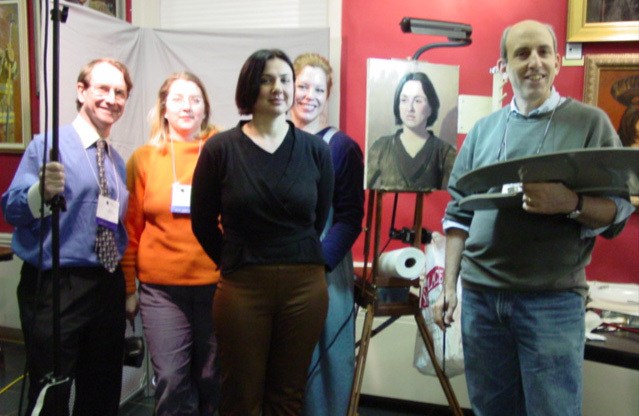 9:30am-12noon: "Sculpting the Head with Pigments: A Portrait Painting Demonstration." Do you think that painting a solid head has anything to do with copying what's in front of you? This is a rare opportunity to watch award winning portraitist and illustrator, Marvin Mattelson, demonstrate his portrait painting approach, based on logical application of essential modelling factors, which can transform a two dimesional surface into the illusion of reality. 108> CSOPA Members $25/$30 Non-Members. 12noon-1pm: Break for lunch. (Bring your own!) Light snacks and beverages will be served. Deli and luncheonettes are a nearby drive to the town of Cos Cob. 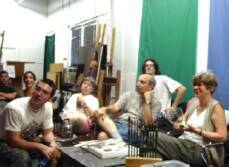 1pm - 3:30pm: "Live Model Session" Registered artists may set up and paint from the model. 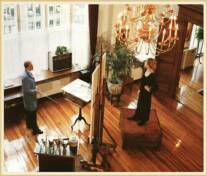 Artists bring their own easels, canvas and paints. The setting will continue the morning pose from Mattelson's demonstration. Model fee. 109> CSOPA Members $10/$15 Non-Members. 4pm - 5pm: "Everything I Know About Painting I Learned at the Met!" Marvin Mattelson brings his fabled tour of the Metropolitan Museum to CSOPA. This slide presentation, based on the annual tour Mr. Mattelson treats his SVA students to, will attempt to demystify many common procedures and techniques that portrait artists have been employing for the last 400 years. Be warned, you may never be able to look at a portrait painting in the same way. 110> CSOPA Members $10/$15 Non-Members. 5pm - 6pm: Final Presentation - "Nuts 'n Bolts: Do's and Don'ts for Managing a Career in Portraiture." Panel discussion led by CSOPA Advisor, Robert Anderson, recently awarded the President George W. Bush commission for the Yale Club in NYC. Panelist, John Howard Sanden, ASOPA Advisor and international portrait master, contributes wisdom from decades of success. Ariane Beigneux, most famous for her painting knife technique and childrens portraits will complete the panel. A MUST for professional portraitists! 111> CSOPA Members $10/$15 Non-Members. 6:30pm - 8:30pm: "Dinner with CSOPA." 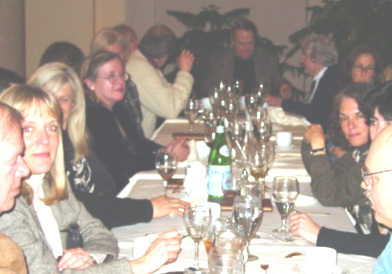 Winfield's Cafe' at the Regency Hyatt in Riverside was the perfect retreat for 22 CSOPA members and guests to continue the conversation over dinner. John Howard Sanden at the Carnegie Studio, New York City. PUBLIC PROGRAMS are highlighted in blue. Designed for collectors, patrons, brokers, gallery owners, framers, interior designers, as well as artists. It is not to late to add your name or business to our list of sponsors. Please email CSOPA today for details. Ann Fader, Portrait Consultants Inc.
Kathi Gernat, Kathi Gernat Interiors, Inc. The Valentine Vernissage was a great success in spite of rescheduled snow date Saturday, February 8. Special thanks to Elaine, Sophia, Michel, Paul, Candee, and all 100 guests, most of whom wore red! 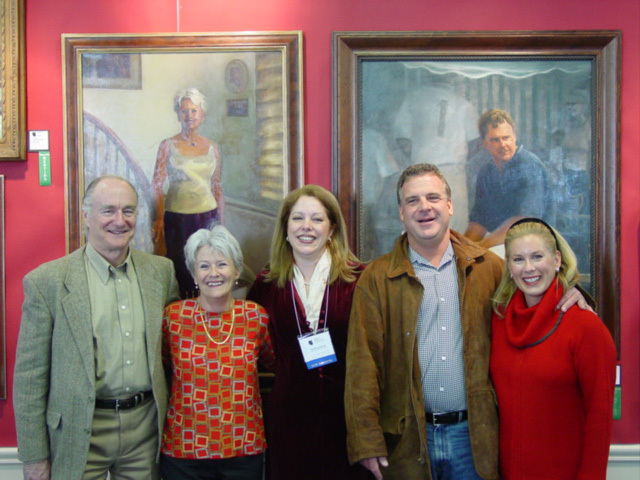 Feb 8 Reception: Jeanine Jackson (center) with portrait clients Howard and Gillian Pierce (left) Ralph and Michel Giorgio (right). "THE WORKSHOPS WERE WONDERFUL!" 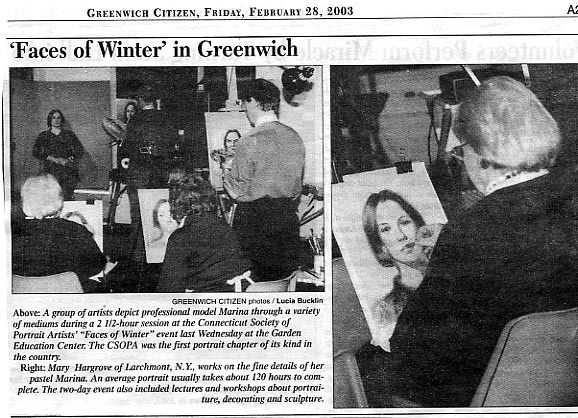 CSOPA thanks all guests and presenters who made Faces of Winter porgrams a huge success. "Tuesday Talks" and "Wednesday Painting" on February 18 & 19 included lectures, workshops and demonstrations from special guests described below. 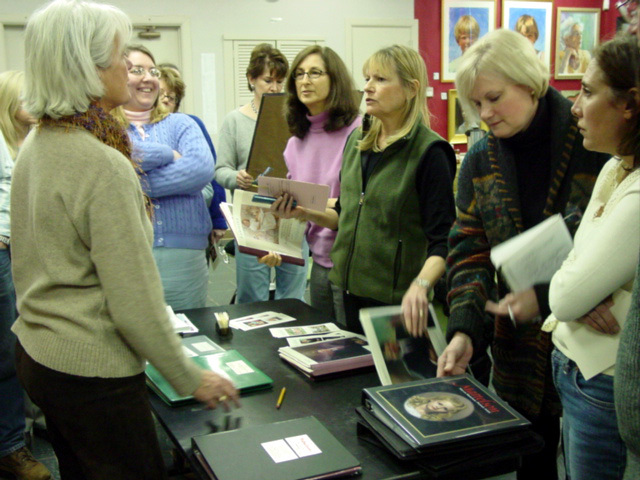 Feb 18: Carole Erdman (left) of Portraits Unlimited reviews portfolios. Feb 19: Event Chairs (back row from left) Delafontaine, DeVito and Jackson with model "Contessa" Marina (front center) and Masterful Mattelson. 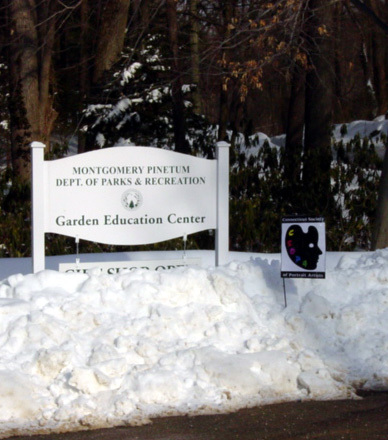 The portrait exhibit will remain on view through Feb 26 at the Garden Education Center of Greenwich in Cos Cob. 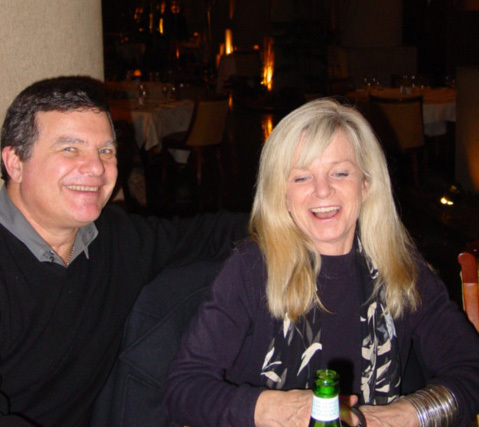 Feb 19: Heartfelt thanks from CSOPA Founder and Co-Chair, Jeanine Jackson to CSOPA Advisor, Robert Anderson. Feb. 19: Marvin Mattelson and John Howard Sanden.